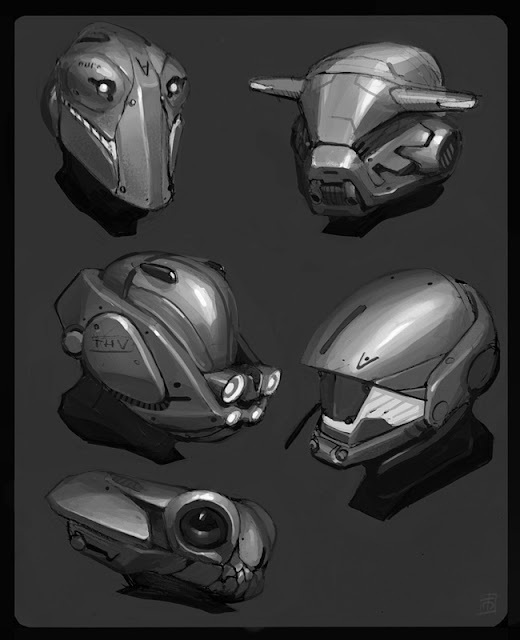 Here are five quickly rendered in B/W helmets, part of a series of 100 that I never finished. 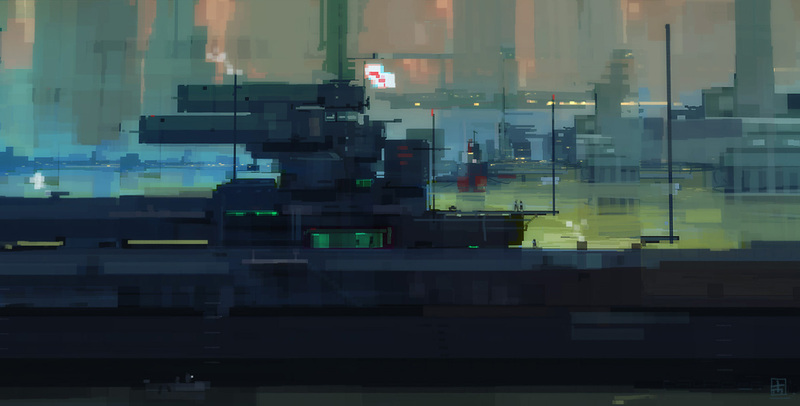 Mostly because I planed to render all of them in this way. Will probably post the rest of them at some point in whatever state they're in when I have time to assemble them :). The designs are completely random, just an exercise. 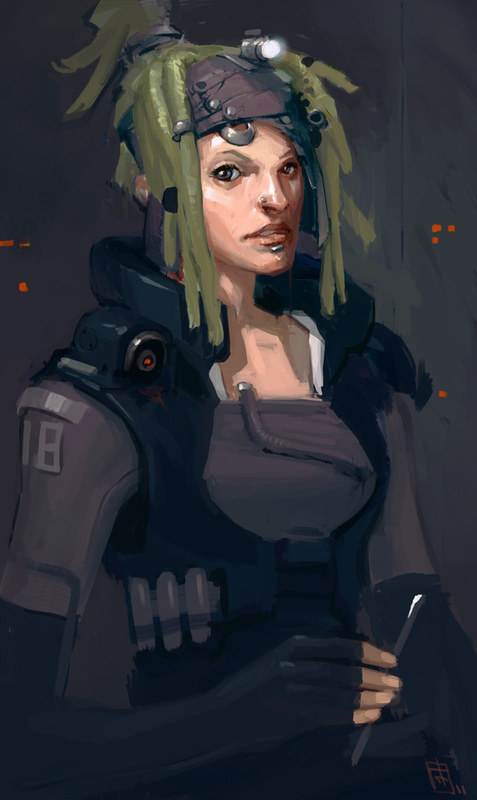 This one is a paint over an old sketch I did for the [neo]martyr project ages ago, I decided to paint it over recently, but the overall lack of perspective and depth to the portrait finally managed to put me off polishing it more. Nevertheless a good exercise that helped me realise some things that I was lacking and need to study more. 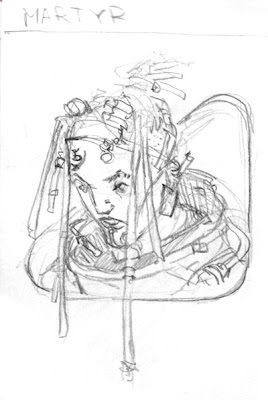 Also I think that In my attempts to fix problems with the initial sketch I lost a lot of the character and attitude I had going on there. 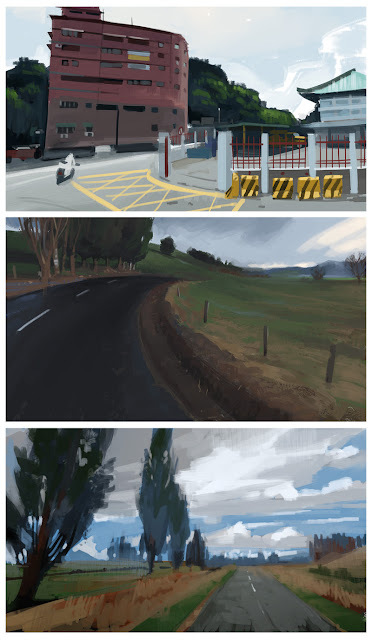 Random eviroment studies of locations from Google Street View, found trough http://www.mapcrunch.com/. I've planed to do one each launch break this week but managed to find time only for 3. Maybe 3 per week is a more realistic number, we shall see. Here's something done for the Monthly theme over at the Sijun forums. SQUARRRES!!! And many thanks to sparth for starting the rectangular craze :). 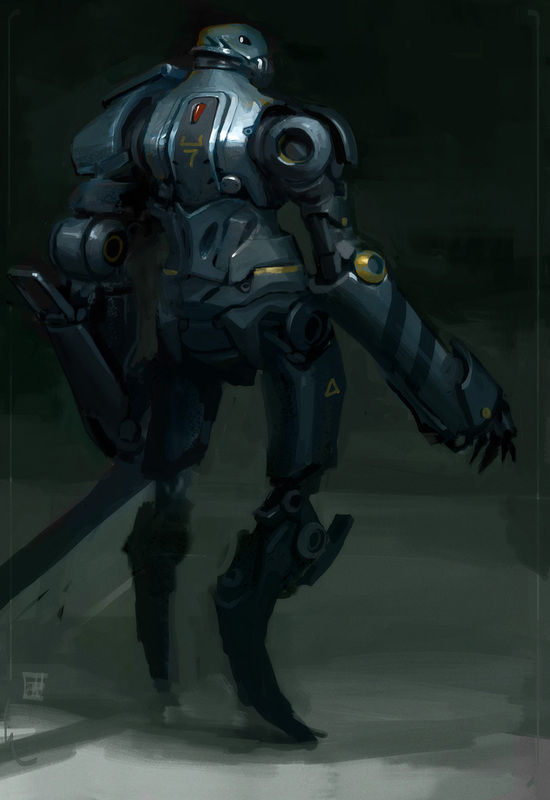 Here's a bot I've spend too much time on. Time to move on. 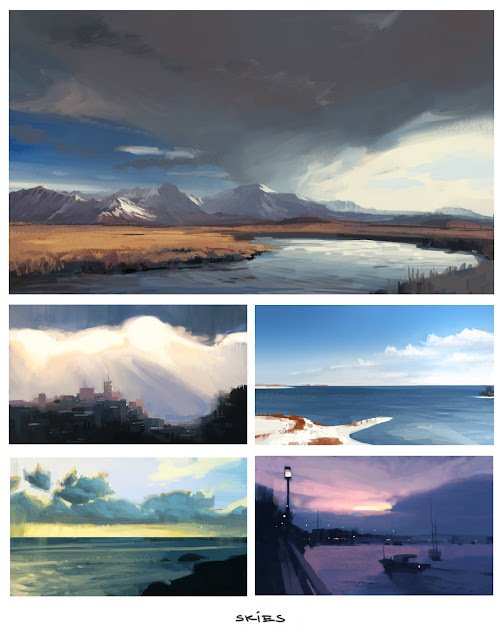 Some sky studies from photo reference.